Day trip from Vienna to GRAZ & Styria! Experience. Enjoy. Austria´s most delicious food is waiting! UNESCO City of Design is a timeless attribute to a city, not only regarding existing design in Graz, but also entailing the responsibility to implement design into everyday life. Graz will stay a City of Design and thus become a constant member of a worldwide network of creative cities. Within this network Graz can share experiences and create new opportunities for the social and economic development of the city. After a scenic drive through Austria's most beautiful countryside, we will reach Styria's capital GRAZ, a unique place!. It has a historic core, a refreshingly students atmosphere and rich cultural offerings. 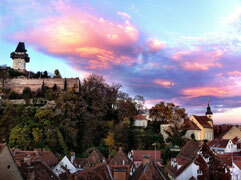 Graz bewitches with its lively charm and southern flair. 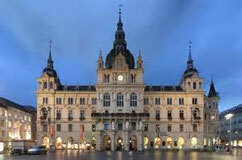 The medieval city center is dominated largely by the struggle of the Reformists and the Habsburgs Counter Reformation. Protestant buildings like the Landhaus and other palaces are contrasted by buildings like the old University, the Mausoleum and the Minoritenkirche erected to represent Catholic believes. A new discovery awaits around every corner: hidden alleys, romantic inner courtyards, ornate façades and magnificent buildings. Renaissance, Gothic and Baroque architecture interweave to form the “best preserved city centre of Central Europe”, in 1999 designated a world cultural heritage site by UNESCO. The special atmosphere of the historic city centre played an important role in the extremely positive and widespread inter- national resonance that awarded Graz the status of “Europe’s cultural capital 2003”. During the summer months the streets, squares and inner courtyards provide a wonderful backdrop for top-class events. Today, the spirit of Graz is dominated by its many students, a young and easy going crowd. Festivals like the 'Styriarte' or 'steirischerbst' have entered the Styrian capital into the world's cultural calendar. 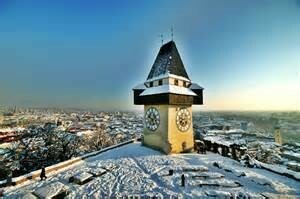 In 2003 Graz seized the chance and became European Cultural Capital for a year. 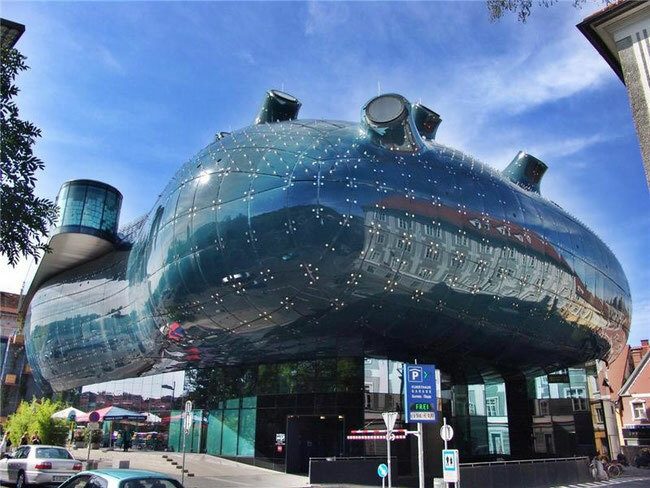 A futuristic open air coffee shop on an artificial Mur island and the 'friendly alien' of Kunsthaus museum accentuate the otherwise largely medieval city face. After lunch we will leave Graz to explore the nearby VULCANO region. It is on the edge of Styria where you can find an aggregation of charming sights -historic small towns, orchard areas and castles. 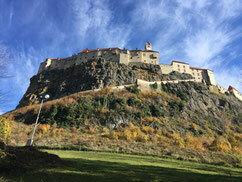 The village rather than town of Feldbach has a medieval core; the nearby Riegersburg castle is one of many possessions of the Princes of Liechtenstein. 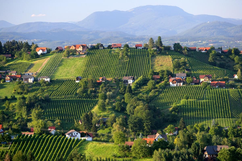 Styria is also a big centre for the legendary "Styrian Pumpkin Seed Oil". After tasting pumpkin seed oil and chocolate at ZOTTER chocolate paradise, you maybe would like to try some more local specialties like Schnaps from Styria, vinegar and delicious Vienna and cheese from local farmers. An unforgettable trip to Austria's most scenic countryside, with a lot of "food stops" and best entertaining guarantee. Very recommendable for families and foodies! Skip the line: I will arrange our tickets in advance so that we can walk right in. We love variety. Nature shows us how beautiful and surprising variety is. 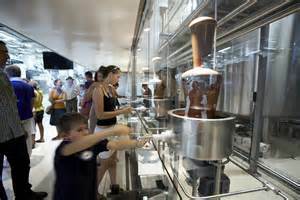 365 different chocolates are produced in our chocolate manufacture in Riegersburg (Styria, Austria). One chocolate for each day of the year. From way-out to classic. We celebrate individual taste with extravagant varieties such as ”Artificial Fertiliser“, ”Wine Duo - right and left“ and hit creations such as ”Coffee Toffee“ and ”Black & White“.